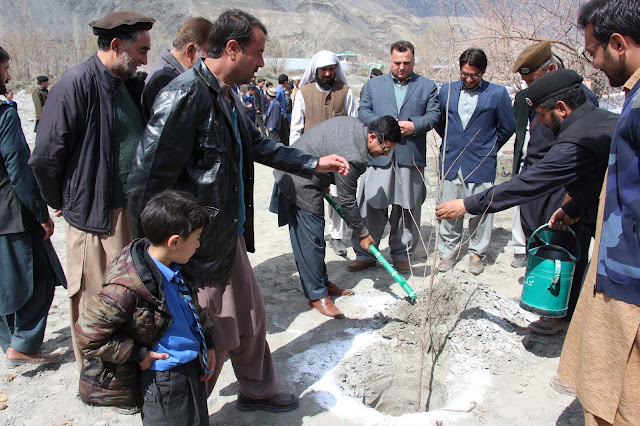 Plantation drive kicked at #Chitral, 10 billion sapling will be planted in drive. 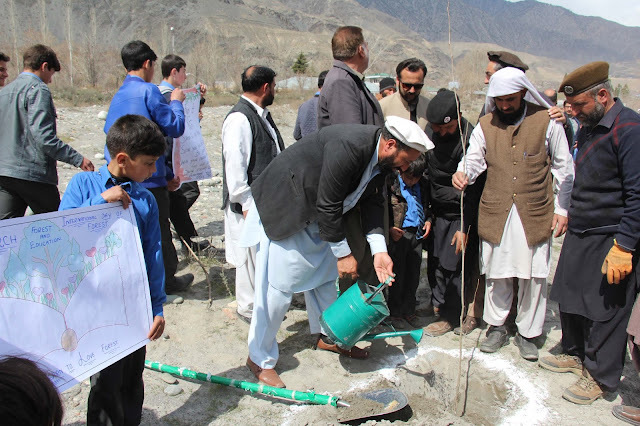 CHITRAL (By Gul Hamaad Farooqi): Like other parts of the country plantation drive also kicked at Chitral. In this connection a simple but prompt function was held near Chitral airport. Deputy Commissioner Chitral Khurshid Alam Mahsood was chief guest on the occasion. Addressing to the gathering Divisional Forest officer Shokat Fayaz said that in the present plantation campaign some 1.4 million plants will be distributed among the public for plantation. He said 400000 will be planted by Forest staff and 1 million plants will be distributed among the public free of cost. 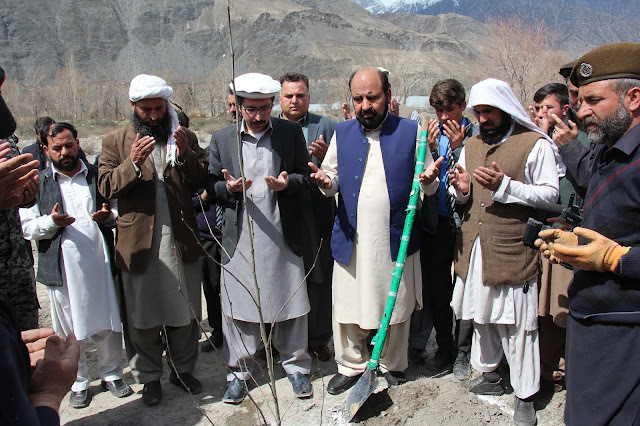 DC Chitral stressed upon the public to must participate in plantation drive and play their role to success the campaign because plants and trees are so essential for Chitral people as they need Oxygen. He said that United Nation also acknowledge importance of Forest and every year they celebrate international forest day. Talking to this scribe DFO Chitral said that people of Chitral mostly depend upon firewood for cooking and heating purpose as a result forests are decreasing rapidly. People should to motivate their elected representatives to move a pleas on the floor of Assemblies for provision of electricity on subsidize rate if they were given cheap power supply they will use heaters for cooking and heating purposes. As a result forest will be saved and residents of the area will be survived from human and financial loss in case of flood. At last DC Chitral, AC Alamgir Khan, Major Usman of Chitral Scouts, District Naib Nazim Mulvi Abdul Shokoor, DFO Wild Life Muhammad Hussain, Nazimeen, councilors, teachers and students planted sapling and properly inaugurated of drive. Jameel Ahmad community development officer Chitral said that for sustainable succession of the campaign we must involve local community for ownership because no project can success without the support of local people. He said that at present we distribute Deodar, Robinia, popular, Velue, eucalyptus, fruit and flower plants too among the people. 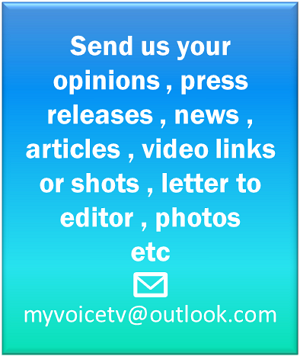 He said that the campaign will be continue up to April to achieve its target.